Maldon Golf Club is hosting the 2019 Seniors Open competition and we invite all gentlement golfers over 55 with official club handicaps to enter. 18 Holes - 4 Ball Better Ball Stableford. Two course buffet lunch following competition. No tee time bookings required. Prizes for 1st, 2nd and 3rd plus NTP on par Threes. 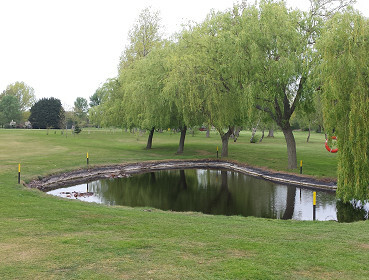 Maldon Golf Club is a members' club and as such we focus on giving the members the opportunity to have the best golfing experience possible. We have a reputation for being a very friendly club and we run most competitions and swindles with a draw for partners and a shot-gun start. This helps to integrate new members and in a few weeks they have played with a number of different people and get to know many more members in the process. Visitors are most welcome at Maldon Golf Club. We have a reputation for being a very friendly club and we are happy to assist you in organising a "Society Day" or Charity Event. Packages are tailor made according to numbers and catering requirements. Limited Green Fees on Saturdays, Sundays and Bank Holidays unless accompanied by a Member. There are some reserved tee times at weekends which can be booked directly with the Club Secretary 48 hours before play.